David De’ath hosted Wickford and Runwell history day at Christchurch Hall. 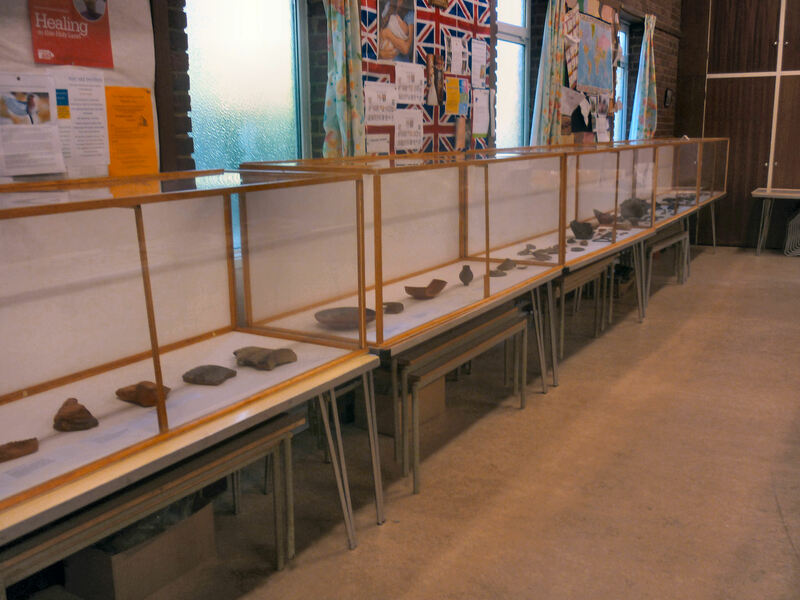 On show were “finds” discovered at Beauchamps (School) dig in the 1960s and loaned by Southend Museum, and other Roman pots found by David in and around the area. 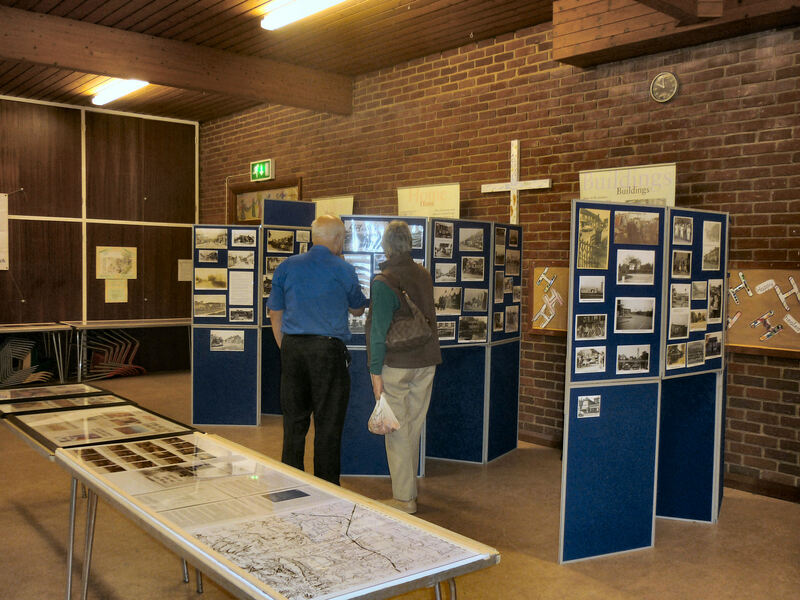 His large collection of historical maps were also on show. 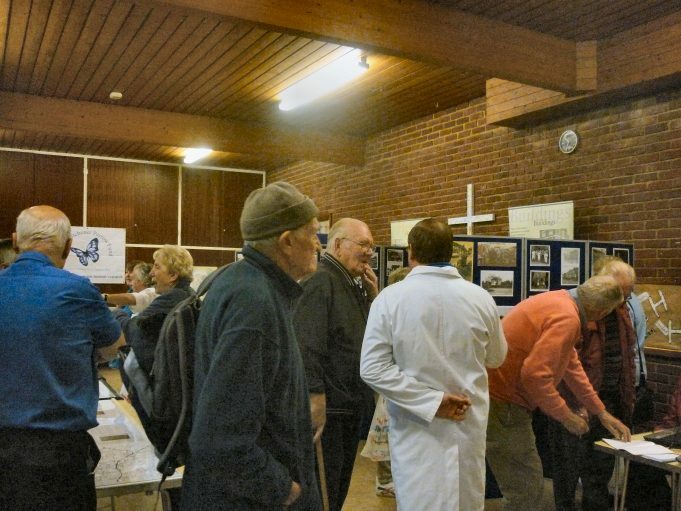 Any profits from the day were donated to the Brain Tumour Trust. 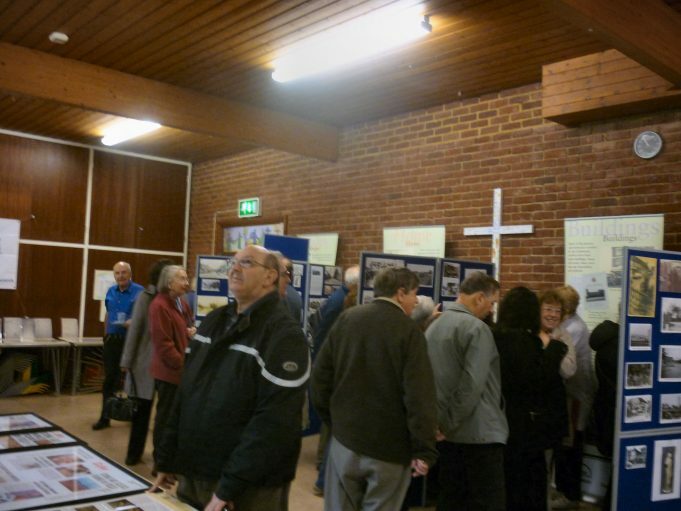 He invited Wickford Community Archive to put on a display of photos covering the period 1886 to 2012. 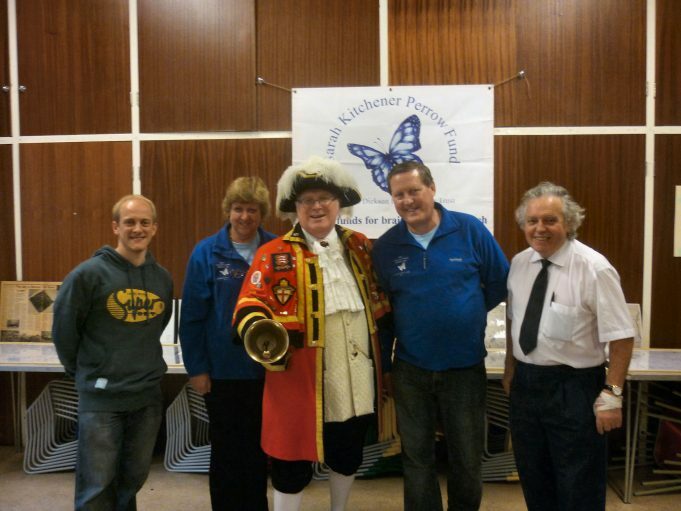 Billericay Town Cryer announced the display all around central Wickford. If you were there you could not have missed him. Visitors began to arrived within minutes of him leaving the Hall. During the day we must have had over 200 visitors, all seemed very interested and more than one older resident met friends they had not seen for some time. They were able to have a sit down, a cup of tea and a natter. 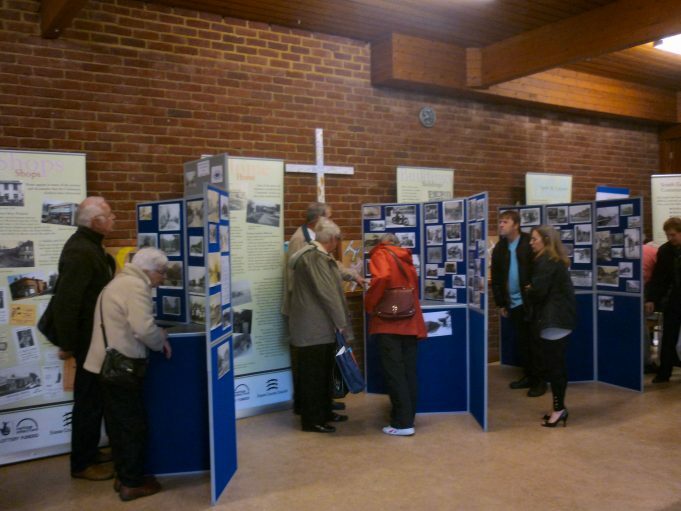 There were photos for all ages and modern ones for newcomers. Some of the photos had been paired “Then and Now”. We gave out many postcards with the Wickford History website address so hope that we will have many online visits in the coming months.